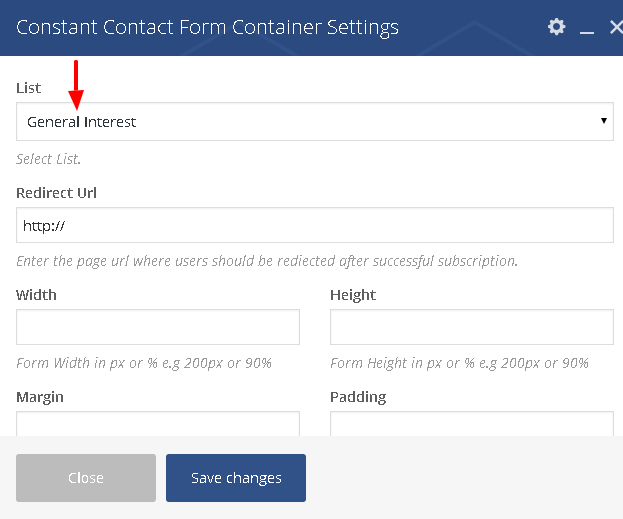 Visual Composer Constant Contact Addon provides you all the options you need to create a beautiful subscription forms. 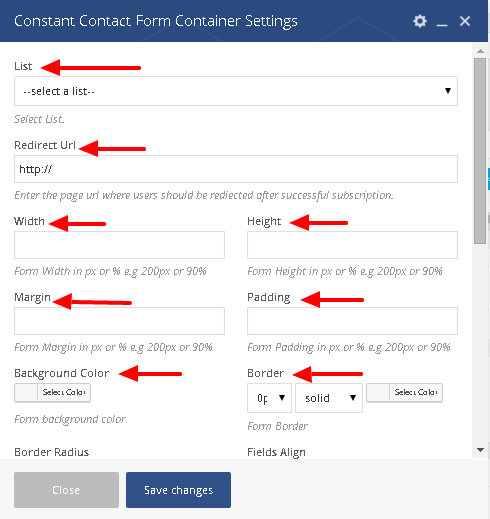 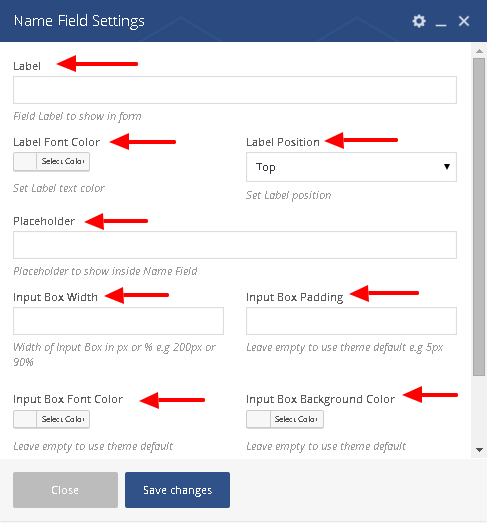 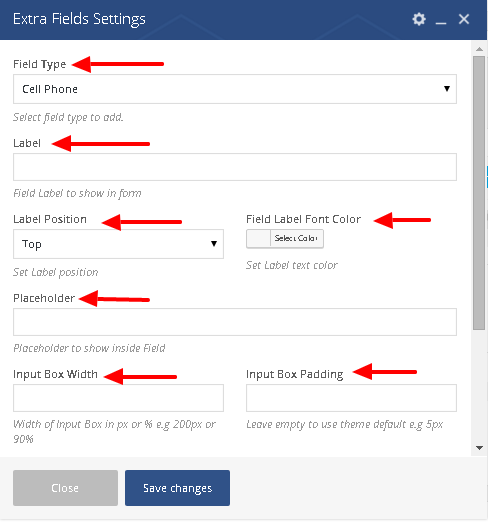 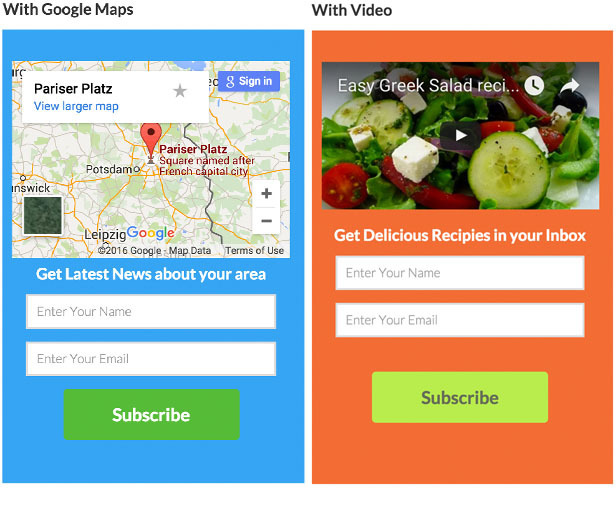 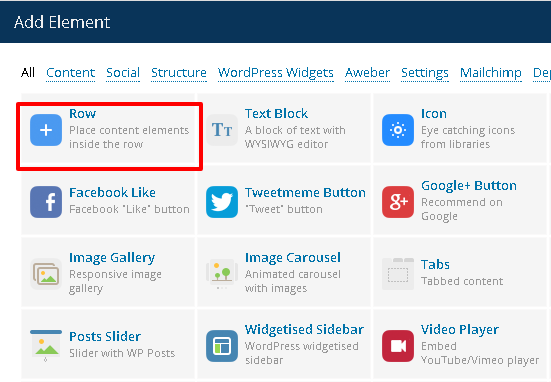 You can easily design your forms and include Visual Composer elements like videos, images, maps, charts, image gallery and much more along with Constant Contact elements like Name, Email, Cellphone, Home phone, fax, Name prefix , custom fields etc. 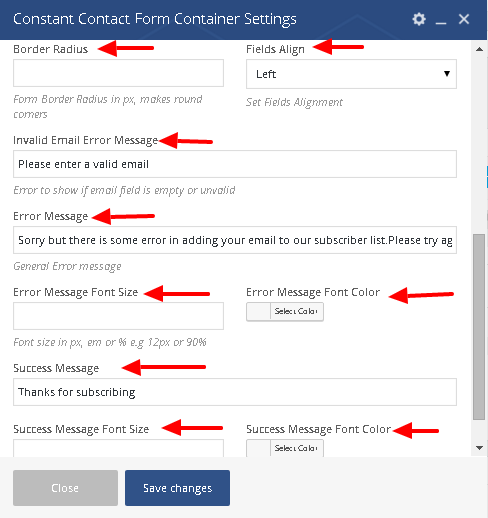 Custom success/error and email validation messages can be shown in form. 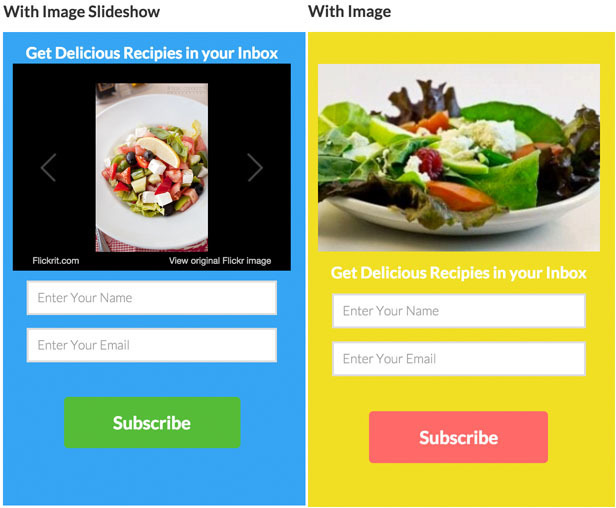 On successful submission of form you can also redirect users to any url. 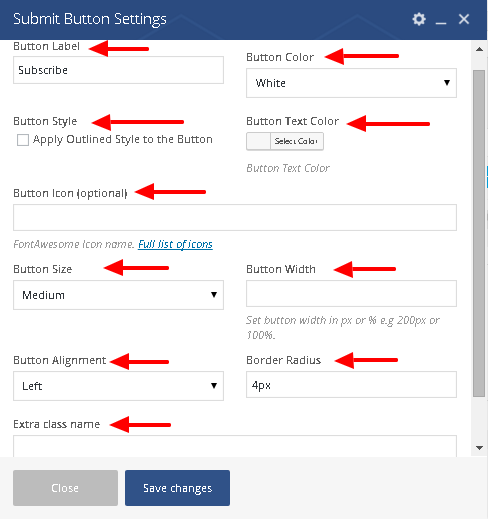 Form submission doesn’t refresh your page as it uses Ajax.